This True Black Futurity Champion out of Suri Peaks Coal Man produces Champions. 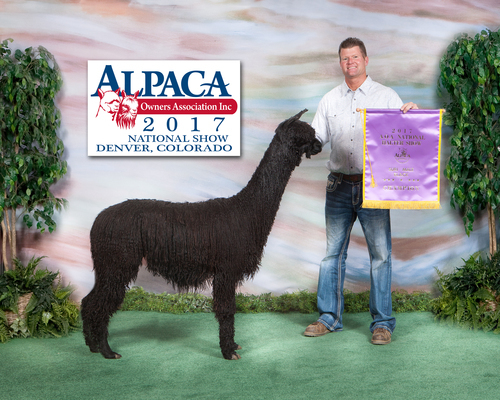 She is elite in every way and is bred to 14 time Banner Winner Goldstar's Bojack for an August 2015 cria. This package will set you a step above others in the dark breeding programs!! 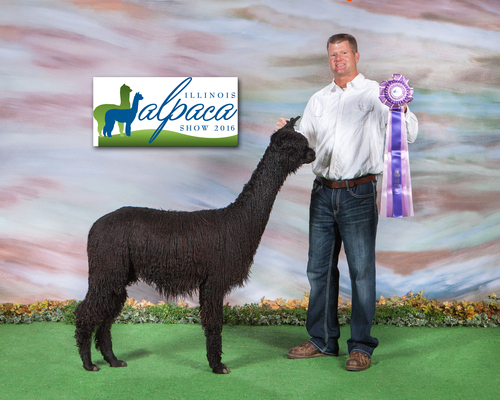 She had a stunning True Black Male cria born on 7/23/2015. 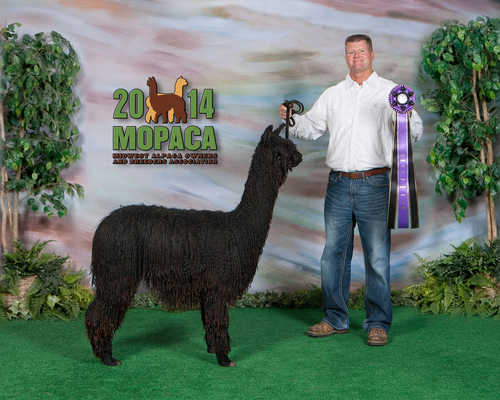 Been rebred to Goldstar's Bojack for a summer 2016 cria. Gave birth to a STUNNING true back male on 9-6-2016 and is re-bred to Goldstar's Bojack!! Blue black, Locked, Luster, fineness, and uniformity of micron on a robust frame that is perfectly conformed.